Starting with "A Day in the City" and thinking this could mean anything. More than creating just a dramatic image of an average city, I want to create an image that can tell a story. I've chosen to pursue an idea of a not-so-distant future city that has become flooded because of climate change. 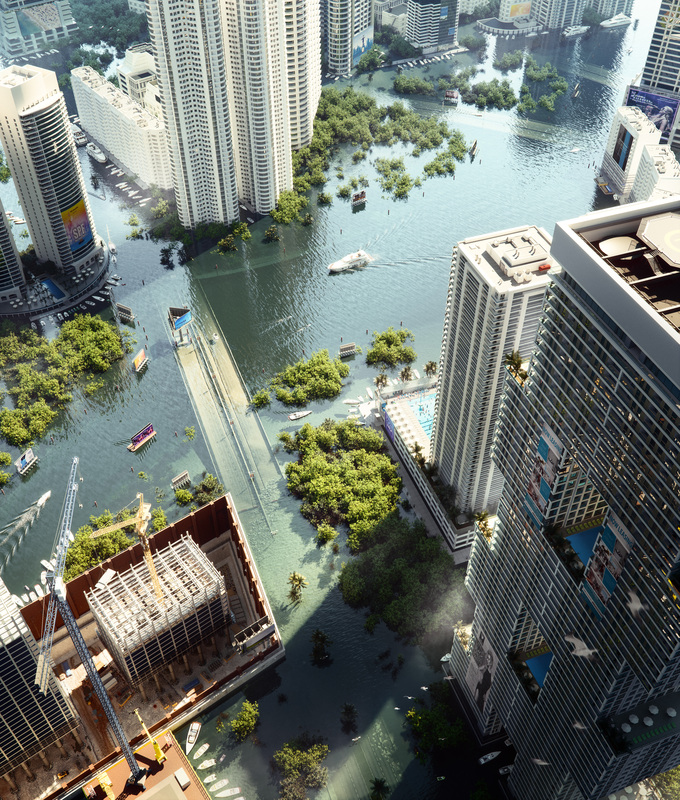 Many cities will be in trouble once the world begins to flood but one in particular is Miami. 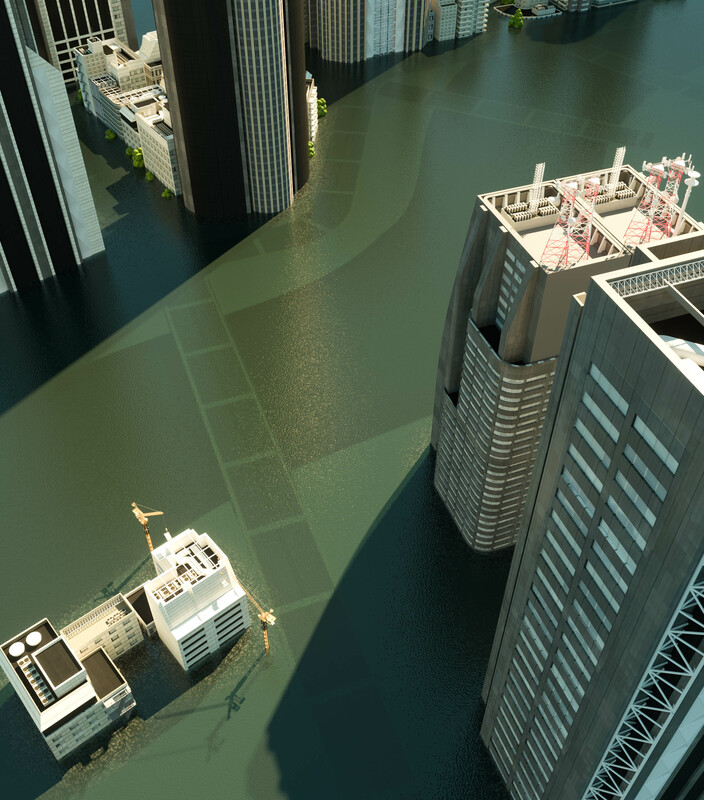 This is a city that has been built on the edge of the ocean and its growth is only increasing. With its super tall and all white condominium buildings, lavish pool terraces and palm trees, I try to image what this might look like in the future after the water has risen around it. Will people leave? Or will they just adapt?